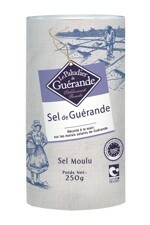 Le Paludier is our manufacturer of French Grey Sea Salt, also known as Celtic grey Sea Salt. Located in the Guérande region of France, the salt is traditionally farmed in the salt marshes by allowing sea water to pass through a succession of clay ponds. As the water gradually evaporates, the salt contained within the water is concentrated until it eventually crystallizes, at which point it can be harvested. The salt has a light grey colouring to it that comes from the natural clay used to line the drying ponds. The resulting salt is a delicious, pure and natural sea salt, free from any additives, containing over 80 minerals naturally present within Atlantic sea water. 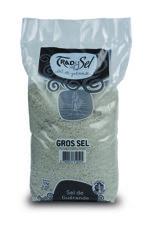 This is the 1Kg coarse grain version of our French Grey Sea Salt, also known as Celtic Grey Sea Salt, which is highly recommended by health professionals. 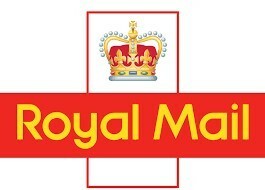 It contains no anti-caking agents, bleaching agents or other additives. It is just pure, unprocessed sea salt containing a natural balance of more than 80 trace elements, harvested by the Paludiers (salt farmers) of Brittany using a farming method that preserves the purity & balance of ocean minerals. This is the 5Kg coarse grain version of our French Grey Sea Salt, also known as Celtic Grey Sea Salt, which is highly recommended by health professionals. It contains no anti-caking agents, bleaching agents or other additives. It is just pure, unprocessed sea salt containing a natural balance of more than 80 trace elements, harvested by the Paludiers (salt farmers) of Brittany using a farming method that preserves the purity & balance of ocean minerals. This is the 1Kg finely ground version of our French Grey Sea Salt, otherwise known as Celtic Sea Salt, which is highly recommended by health professionals. It contains no anti-caking agents, bleaching agents or other additives. 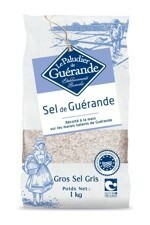 It is just pure, unprocessed sea salt containing a natural balance of more than 80 trace elements, harvested by the Paludiers (salt farmers) of Brittany using a farming method that preserves the purity & balance of ocean minerals. This is the 250g finely ground version of our French Grey Sea Salt, otherwise known as Celtic Sea Salt, which is highly recommended by health professionals. It contains no anti-caking agents, bleaching agents or other additives. 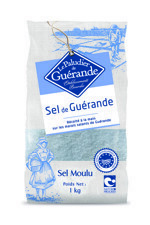 It is just pure, unprocessed sea salt containing a natural balance of more than 80 trace elements, harvested by the Paludiers (salt farmers) of Brittany using a farming method that preserves the purity & balance of ocean minerals.